I have still been on a summer smoothie kick so I have another smoothie recipe to share today. This smoothie gets its amazing green color from Spirulina, an ingredient I haven’t used in a while but have enjoyed using this past week! This smoothie is pretty thick so I actually poured it into a bowl (Smoothie In A Bowl! ), topped it with some peanuts, and ate it with a spoon! It was a perfect snack mid-afternoon after having been outside reading in the hot sun. Also, the spirulina was a great energy boost! I drink smoothies a lot in the summer! They are so cool and refreshing after being out in the sun. Plus, smoothies are a great way for me to add supplements that I take daily, like maca powder, flax seeds, and protein powder. However, sometimes I would prefer not to drink a smoothie out of a straw, but create a thick smoothie that I can eat out of a bowl with a spoon. This recipe was based off a very thick smoothie recipe. Pour into a bowl and freeze* or eat immediately for a Smoothie In A Bowl, but make sure to add toppings first! Try fruits, nuts, seeds, shredded coconut, or chocolate chips! *If you decide to freeze this smoothie, pour it into a bowl and place it in the freezer, stirring every 30 minutes until the desired consistency. It won’t be like real soft serve (it is still smoothie based) but it will be cold and thick! I didn’t add any additional sweetener to my bowl. I found the banana naturally sweetened it enough plus my protein powder is naturally sweetened with stevia. If you omit the protein powder and don’t find the banana to be sweet enough alone, you may want to add your own sweetener like stevia or maple syrup or even try sweetening it up by adding a whole frozen banana! This recipe (using Amande yogurt, Plant Fusion Protein Powder, and including the optional ingredients) yields approximately 315 calories and 17g protein. Here is a smoothie I have been enjoying quite a lot lately. It makes for a great post workout smoothie! 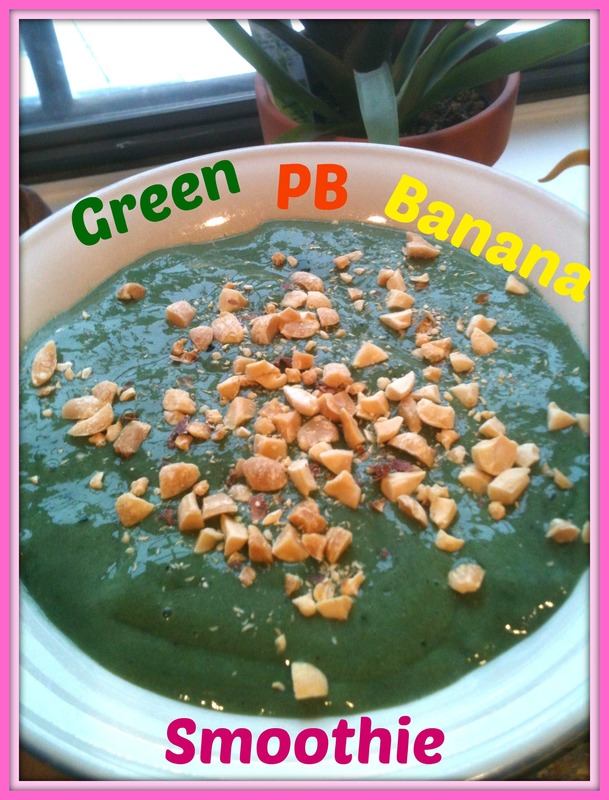 Not only is this smoothie nutritious and filling, but it is super tasty! *If you want a thicker smoothie use 1/2 cup almond milk and 1/2 cup yogurt. 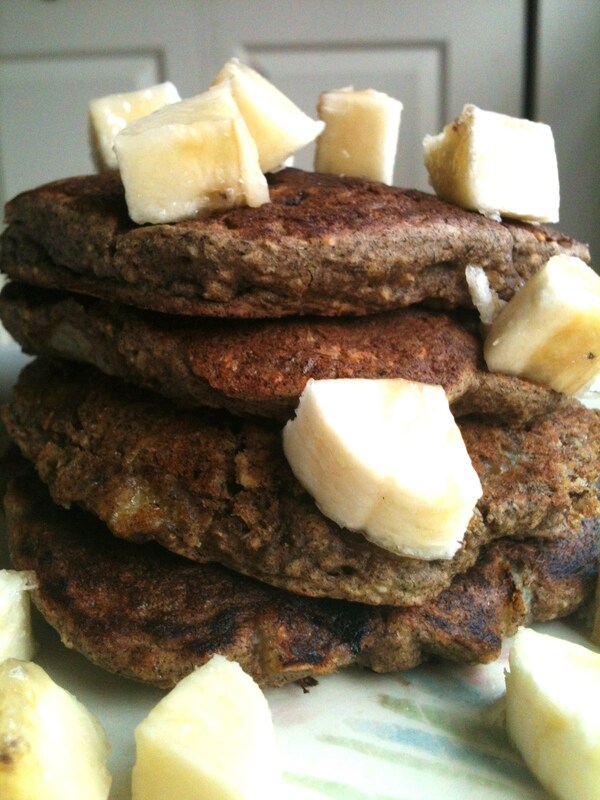 This recipe (with protein powder and 1/2 banana) yields approximately 338 calories and 18g protein. Making pancakes that are vegan and gluten free is tough! Especially, if you want that fluffy texture. Not to mention that you want a pancake that holds together when flipping it on the pan. And on top of all that you have to be patient as the pancake slowly cooks over medium heat; heat that is any higher burns the outside and leaves the middle uncooked. Yuck! Even though I still had to use my patience with cooking these over medium heat, I was quite impressed at how big and fluffy these turned out. Cooked perfectly inside and out! 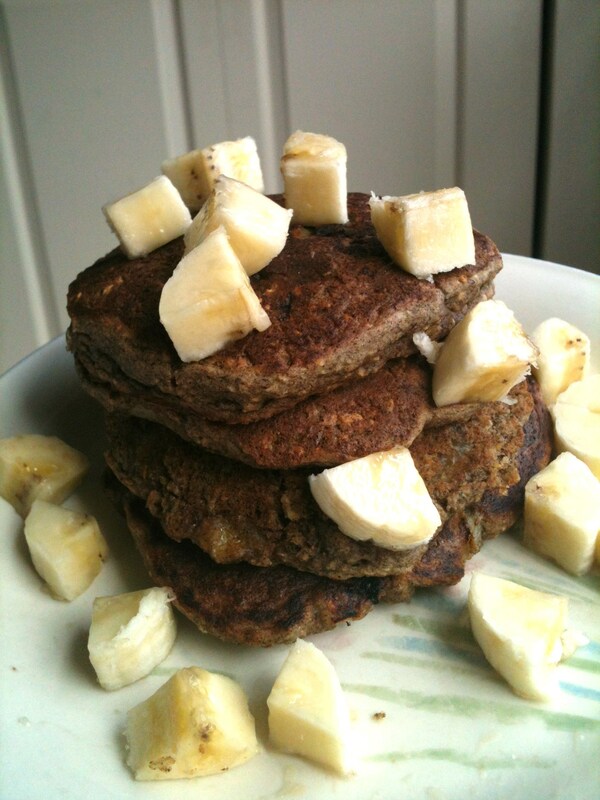 Plus, bananas cooked in the pancakes…heaven! Add the wet ingredients and whisk until everything is combined. Pour pancake batter by 1/4 cup onto a hot, greased griddle over medium heat until golden brown on each side. These pancakes would probably be great with chopped walnuts stirred into the batter! Then there would be bananas and walnuts directly in the pancakes. Ooh that sounds exactly like Banana Bread Pancakes! Delicious! 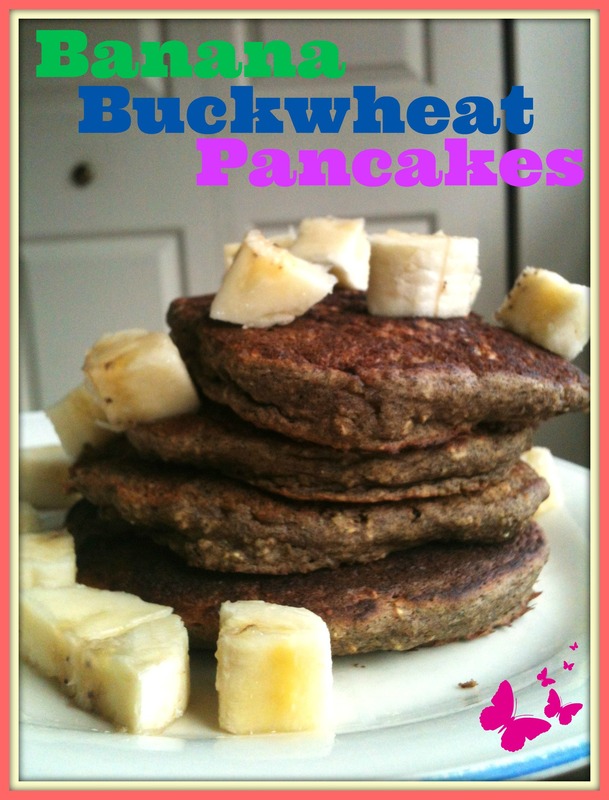 Using Arrowhead Mills Buckwheat Flour, Trader Joe’s GF Rolled Oats, Bob’s Red Mill Ground Flax Seeds, Silk PureAlmond Original Almond Milk, and plain Amande yogurt, this recipe yields approximately 410 calories and 12g protein. Here is another great smoothie recipe! The addition of the walnuts, dates, and spices gives my usual Banana Protein Shake a new twist in flavor. I bet if you add 2-4 tbsp of oats, this smoothie would be even thicker, giving it a really good banana bread flavor and texture. I may have to try that next time! 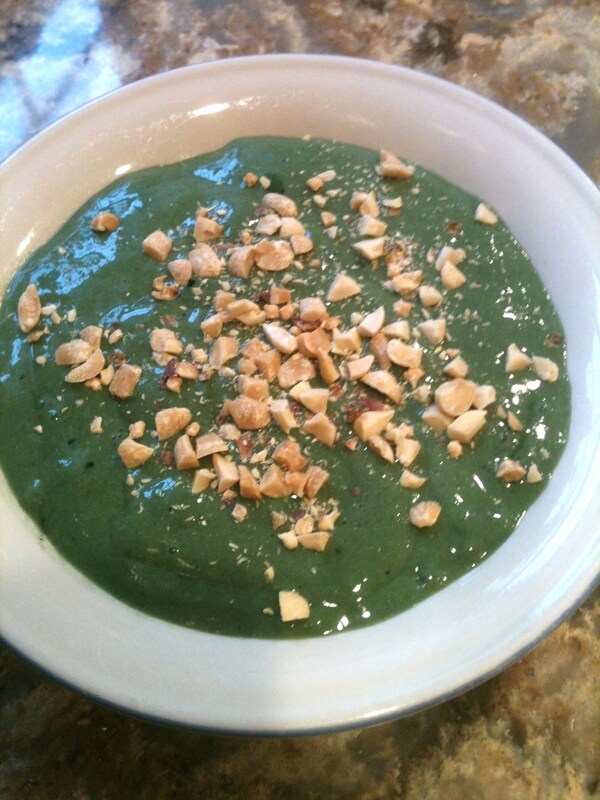 You can also add a handful of spinach to make a green smoothie! This recipe, with both optional ingredients, yields approximately 365 calories and 13g protein. 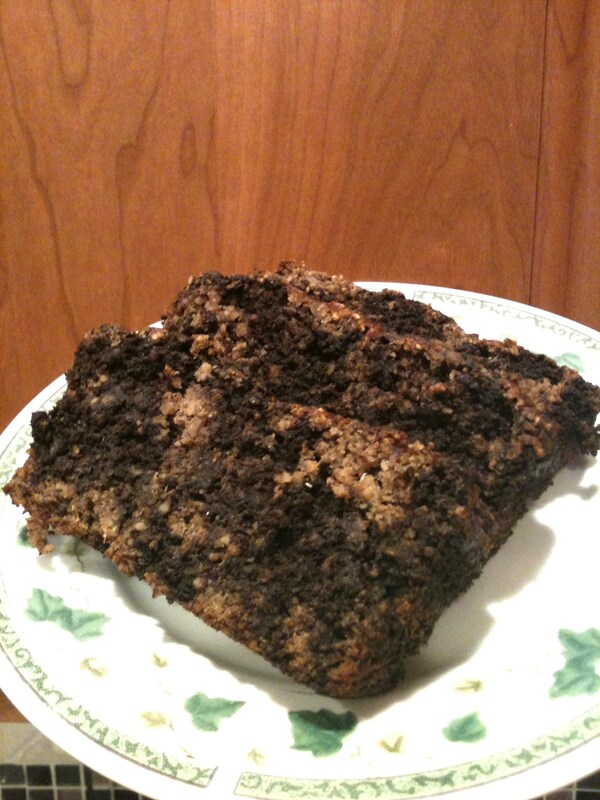 A long time ago, I used to have a banana bread recipe that was my favorite. It was thick, fluffy, and very flavorful. Unfortunately, this recipe was not vegan or gluten free. 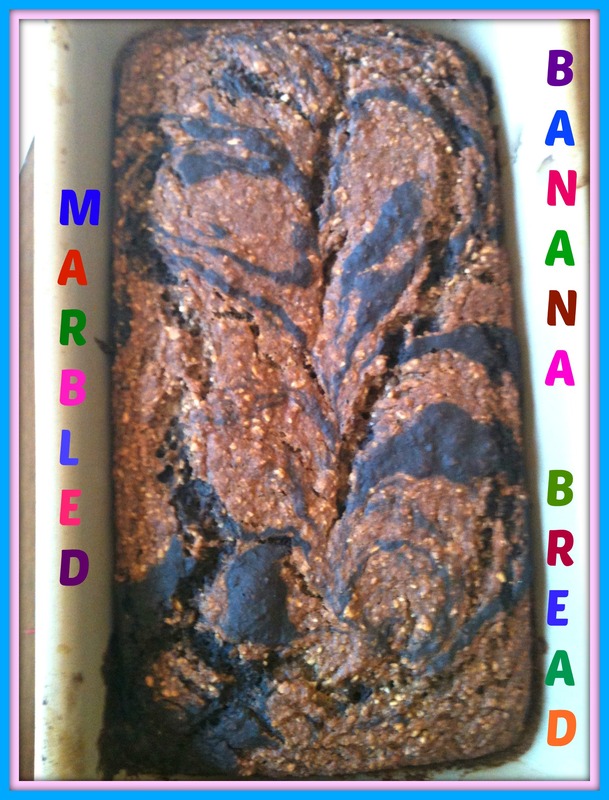 I have tried several banana bread recipes that are both gluten free and vegan and they were always good but nothing close to that rich banana taste of my favorite recipe. I knew I would probably never get the same taste as before but I kept trying different recipes and finally I have found one that has been my absolute favorite so far! It is very tasty and it looks so pretty too! Spray a loaf pan with non-stick spray and preheat oven to 350F. In a small bowl, combine flax and water and stir. Set aside. In a medium bowl, combine flours, baking powder, baking soda, and cinnamon. Mix together. Take 3/4 cup of the flour mixture and put it in another medium bowl. Whisk the cocoa powder into this bowl. Place alternating scoops of each flour mixture in the prepared loaf pan until no mixture remains. Run a butter knife through the loaf creating swirls. Run the knife through the center of the loaf for an even rise. Bake in the oven for 1 hour to 1 hour and 15 minutes. 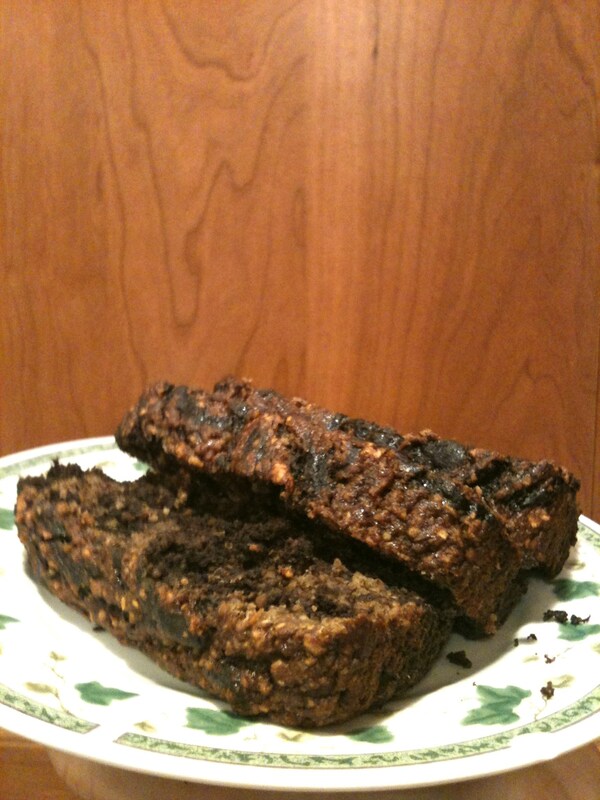 This banana bread is great as is, slightly warmed in the microwave, or topped with peanut butter! 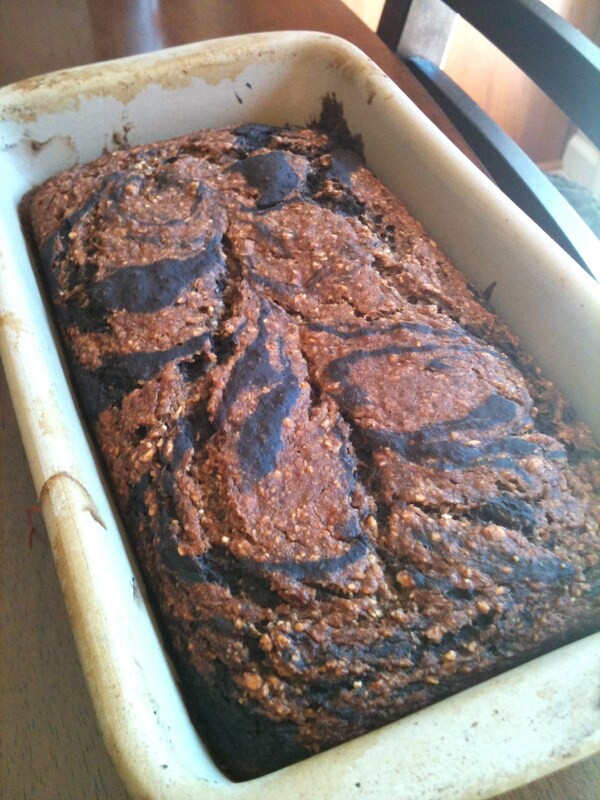 Based off 8 slices of banana bread, this recipe yields approximately 228 calories and 6g protein. Yesterday for the 4th of July, I decided to end the day with a sweet treat perfect for a hot day. I made banana soft serve! I’ve made this before and it is super easy. Just blend 1 1/2 frozen bananas with a splash of almond milk (if needed), until creamy. Then, I usually will add in a tablespoon of almond butter. This time, I wanted to try something different. I made a Cookie Dough Soft Serve (aka Blizzard). What made the blizzard was the amazing cookie dough! After I made my blizzard, I had plenty of cookie dough balls left over. I have been snacking on these all day and I definitely want to make more just to eat straight out of the fridge! 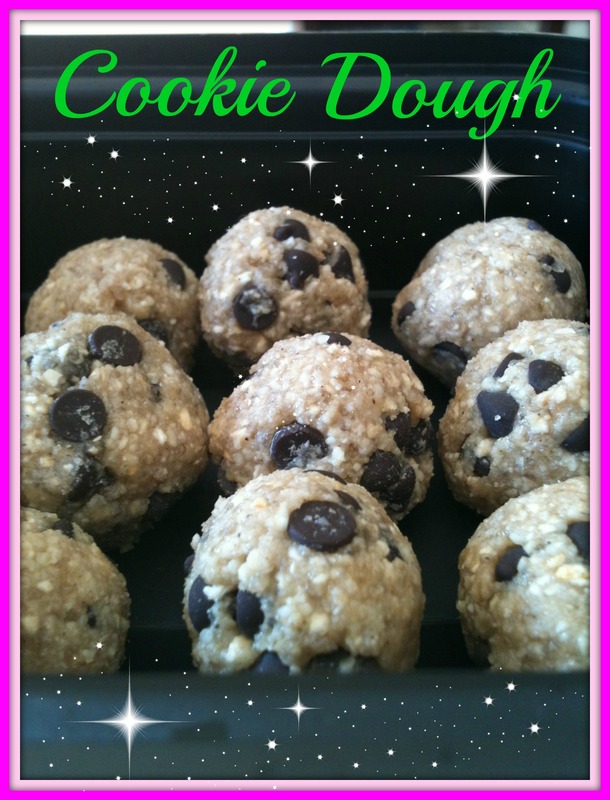 Today I am posting the recipe for the cookie dough! In a food processor, add cashews and oats and blend until it turns into a fine crumble (almost flour-like). Add in flour, salt, and sugar and give a few pulses to combine. Add the vanilla and maple syrup and blend until well combined. With your hands form small balls. I was able to form about 22 balls. A few balls never made it to the container though as I ate them during the rolling process. However, I recommend trying to use use some patience and eat them after they are cold. They taste SO much better cold. Freeze them if you have to so they will get cold faster! These taste incredibly like real cookie dough. 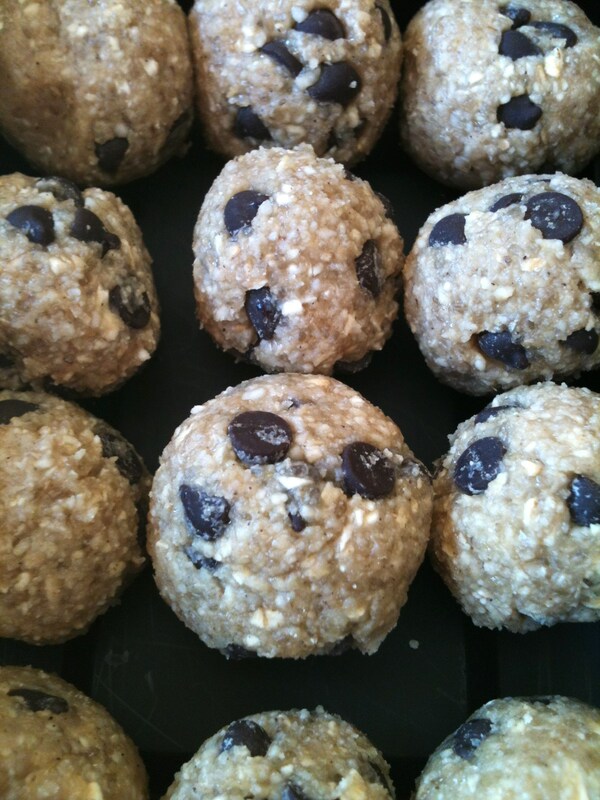 Raw cookie dough was always my favorite and the best thing about this vegan recipe is you can eat them without the worry of getting salmonella. Enjoy these straight from the fridge, blend them into banana soft serve, crumble them on top of other vegan ice cream, yogurt, oats, etc. The possibilities are endless! Based on making 22 balls, each ball yields approximately 50 calories and 1g protein. Today is National Baked Beans Day! Even though this recipe doesn’t use baked beans, it does use bean sprouts and chickpeas…that counts right? Well if you would rather have actual baked beans, see this recipe I posted last year to better celebrate National Baked Beans Day. In fact, I made those baked beans last night for dinner. I doubled the recipe so I would have plenty of leftovers. Those baked beans are SO tasty! Anyways, back to today’s actual recipe. 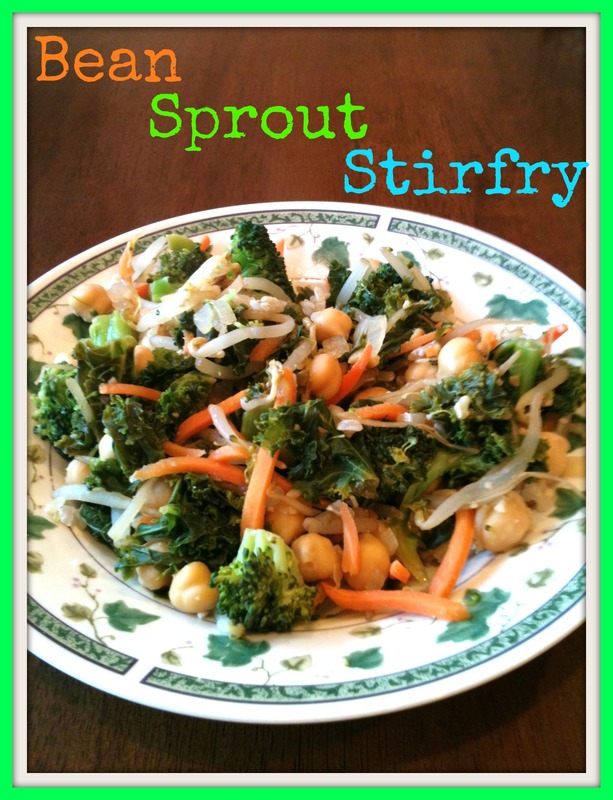 I have been loving sprouts lately; bean sprouts and alfalfa sprouts in particular. They have been making their way into all my bean and veggie wraps. When I came across this recipe for a stir fry that was basically made out of bean sprouts, I knew I had to make it as soon as possible and try bean sprouts in a new way! This recipe was adapted from here. I made a few changes to the original recipe to increase the flavor and use ingredients I had on hand. Add onion and garlic to a large frying pan with a splash of water. Saute over medium heat for about 2 minutes, adding more water if necessary to prevent sticking. Add broccoli florets and kale and cook for about another 2 minutes. Add all other ingredients and cook until kale is wilted and broccoli is bright green. Serve immediately as a side dish or serve over brown rice for a meal. I included chickpeas in my recipe because I wanted additional protein. I bet this would taste great with marinated and baked tofu or tempeh as well for a protein source. 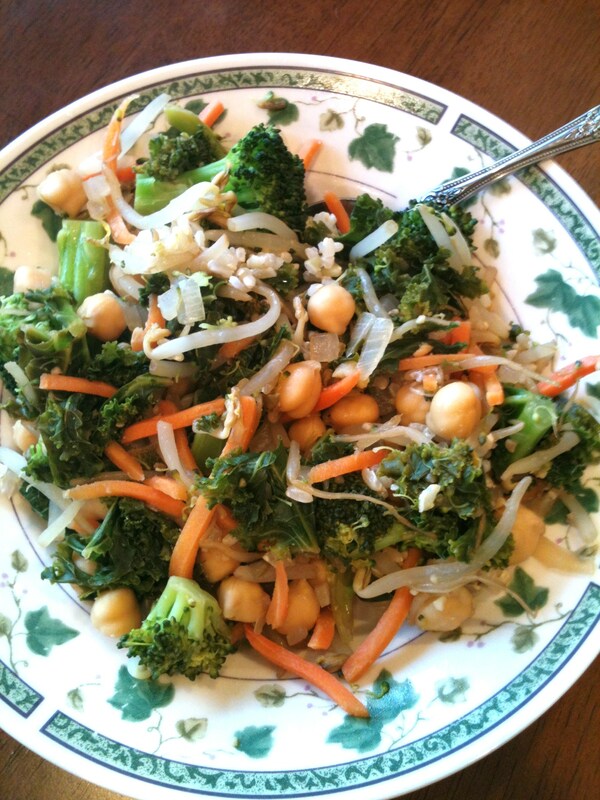 If you serve this over brown rice for a meal, this can easily make 3-4 servings.